Any user of this website is bound by the following terms and conditions which can be altered at the discretion of Baby Buds at any time. Note: If you are under the age of 18, you must use this website with the guidance of a responsible adult. Some products sold by Baby Buds contain alcohol. You must be at least 18 years of age to place an order containing alcohol and the intended recipient must also be at least 18 to accept delivery. Baby Buds (TM) is a trademark licensed to Baby Buds Pty Ltd, which has registered business premises at Level 4, 303 Coronation Drive, Milton, Queensland, Australia. Baby Buds is an Australian owned and operated company. Baby Buds welcomes all forms of feedback regarding our product, services, website and any other part of our company. Please be aware that any feedback you provide is not considered to be confidential and will become the property of Baby Buds to use at their liberty. You must have a valid credit card that you have full authority to use or transact using PayPal, to place an order with Baby Buds. You may place an order through the website or via our call centre by phoning 1300 BABY BUDS (1300 222 928). Once your order has been processed you will receive a tax invoice or order confirmation that contains your order details to your email address. All prices quoted on this website are in Australian dollars (AUD), inclusive of Goods and Services Tax (GST). If specific product components become temporarily unavailable, other components of greater or equal value may be substituted to facilitate delivery of your order on time. Please read the specific conditions that are associated with each promotion, discount or offer that is connected to Baby Buds. 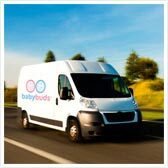 Baby Buds delivers nationally in Australia for a delivery fee of $14.95. We guarantee that your product will be delivered on the requested day by 5pm. These time frames do not include public holidays. Deliveries to regional and remote areas (e.g. rural properties) may take additional time to arrive at their destination. We are unable to deliver on Saturday and Sunday. Orders received after 2pm on Friday will be shipped on Monday. - The recipient is not present at the delivery address. Items that contain alcohol cannot be left at a delivery location if a person over the age of 18 is unavailable to receive the order (e.g. The order cannot be left at the front door if nobody is home). Delivery of orders to rural route addresses or secured buildings cannot be guaranteed. Any variations or cancellations to orders will require at least two business days' notice by contacting our team on 1300 BABY BUDS (1300 222 928). Variations or cancellations to orders with a shipping time of two or more days cannot be guaranteed. Orders cancelled after the two business days notice period cannot be refunded. Once your order is cancelled, the amount of your order will be refunded to your credit card. If anything in these Terms and Conditions is deemed unenforceable, illegal or void then it is severed and the rest of the Terms and Conditions remain in force. Please do not hesitate to call us on 1300 BABY BUDS (1300 222 928) for any enquiries or to place an order. Baby Buds emails are sent in compliance with the SPAM Act of 2003. We take this law seriously and make every effort to comply with all subscriber requests. Baby Buds Pty Ltd ACN 150 216 318 (collectively, Baby Buds, we, us, our) is committed to protecting your privacy. This policy outlines how we collect, hold, use and disclose your personal information and your rights in relation to the personal information we hold about you. What personal information does Baby Buds collect? You can choose not to provide Baby Buds with the information requested. However, if Baby Buds cannot collect the personal information, particularly information requested in mandatory fields marked with an asterisk (*), we may not be able to provide you with the products, services or assistance you have requested (including processing and delivering your order) and you may not be able to take advantage of the products we have on offer. Baby Buds collects information when you use our website or communicate with us, such as by telephone, email, SMS or text message. This includes information you provide when placing an order with us or making an enquiry on our website. Unless required by law, by Court order or we are required to investigate suspected fraud or other unlawful activity, the personal information collected by Baby Buds will only be disclosed to or seen and used by people working in Baby Buds or for us, unless you have authorised us to do otherwise. People that work for Baby Buds include contracted staff in our call centre, florists, delivery couriers and other companies that work on our behalf in order to provide our products and services. Baby Buds does not sell or receive payments or services for disclosing customer's personal information to any external company. Baby Buds takes reasonable steps to protect your personal information and prevent unauthorised access. 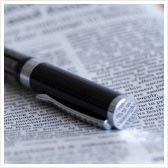 We hold personal information in electronic and hardcopy form. We store electronic information on our own system and through third party data storage providers. Our third party storage providers, including overseas storage providers, are required to protect personal information against unauthorised access or misuse. We use Secure Socket Layer (SSL) technology to protect your financial transaction and credit card details. Who can you contact regarding a privacy complaint? Post: Baby Buds Pty Ltd, PO Box 1943, Milton QLD 4064. If you believe there are errors in our records about you, please contact our Privacy Officer on privacy@babybuds.com.au and we will be happy to investigate and correct any inaccuracies.